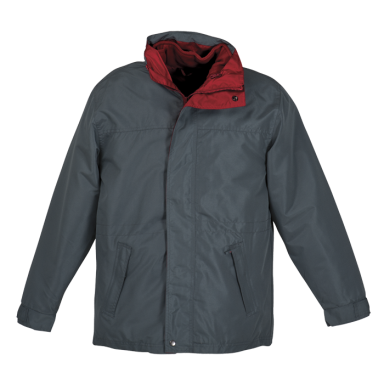 Top end winter garment featuring removable fleece inner jacket. 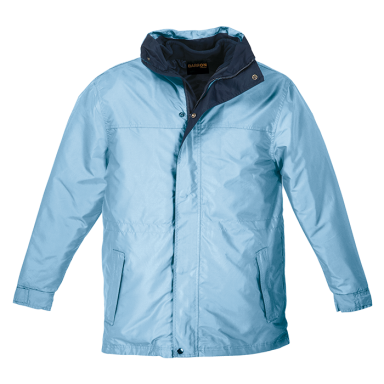 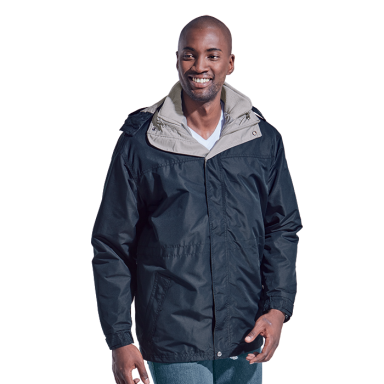 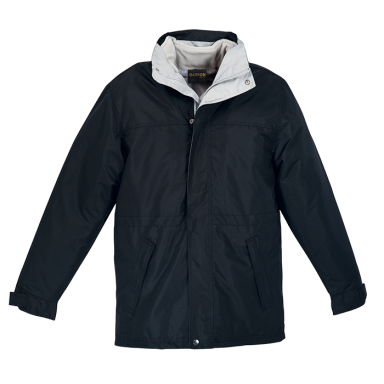 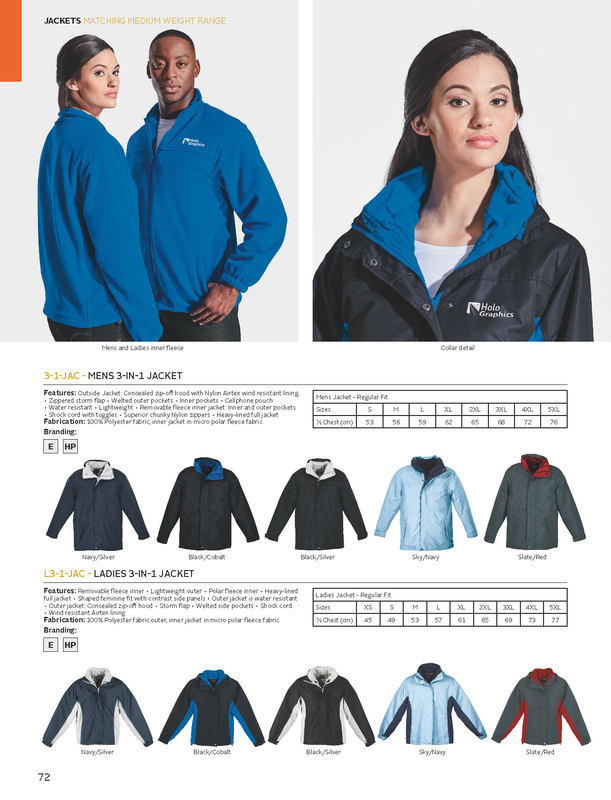 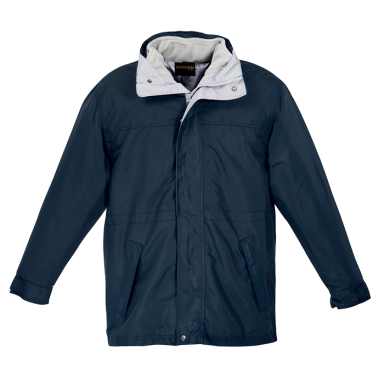 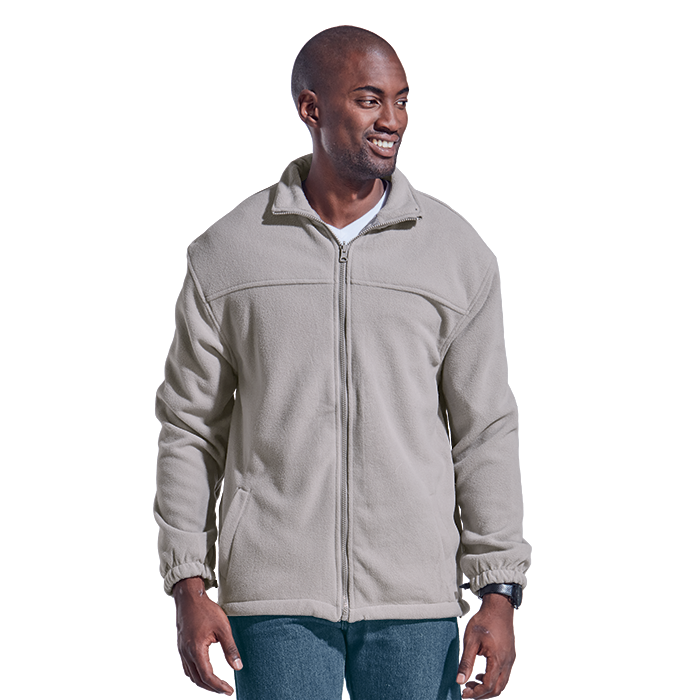 Outer jacket features concealed zip off hood with nylon airtex lining, zippered storm flap, welted outer pockets, inner pockets and cellphone pouch. 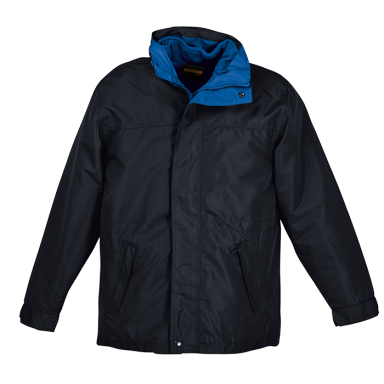 Inner jacket features inner and outer pockets, shock cord with toggles. 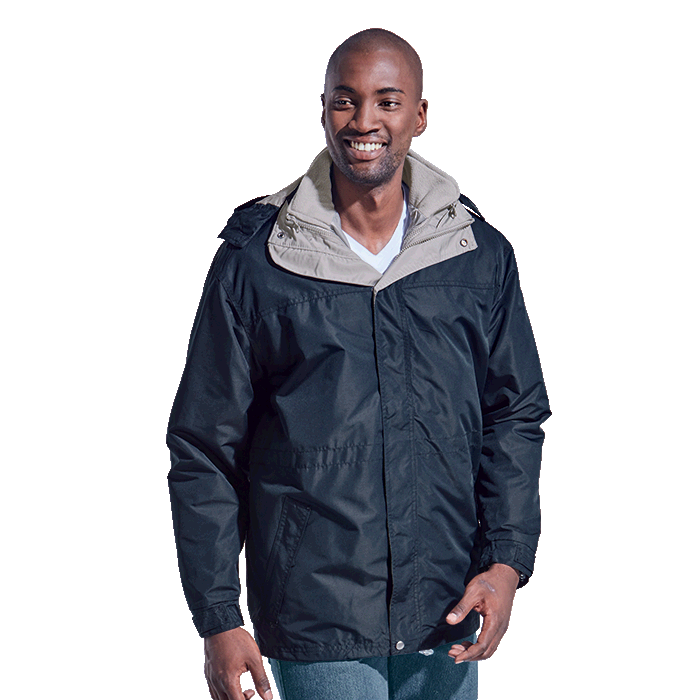 Superior chunky nylon zippers.